The Martin Maestro Gas Grill is the perfect companion for any backyard. Offering a stainless steel double layer lid and pedestal base, this grill also features 55,000 BTUs and provides a total cooking area of 621 square inches. Assembly required. Maestro Gas BBQ The Martin Maestro Gas Grill is the perfect companion for any backyard. 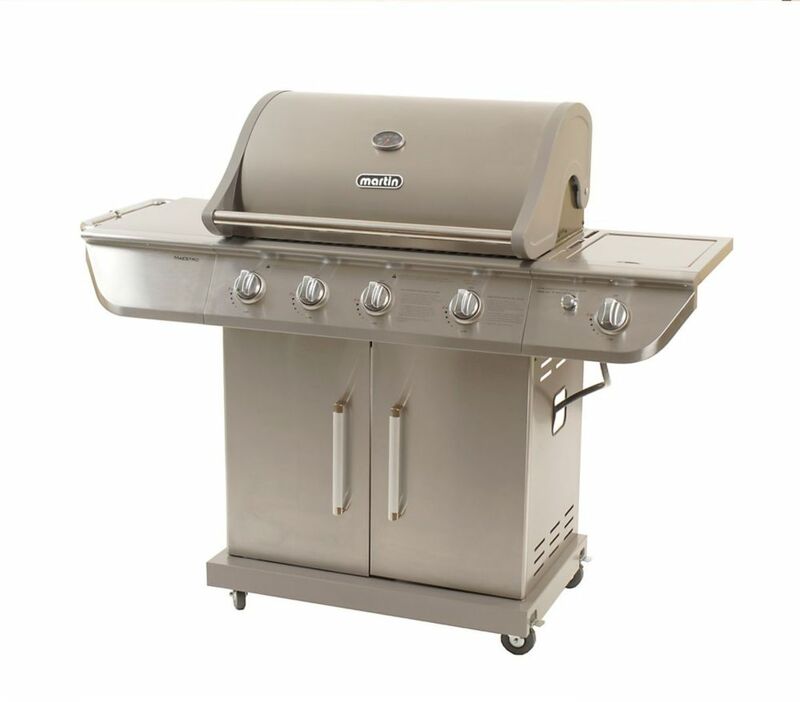 Offering a stainless steel double layer lid and pedestal base, this grill also features 55,000 BTUs and provides a total cooking area of 621 square inches. Assembly required.